Among the many sites in Pergamum devoted to idolatrous worship was the Red Hall. The Egyptian religion reached out into many areas in the Roman world. 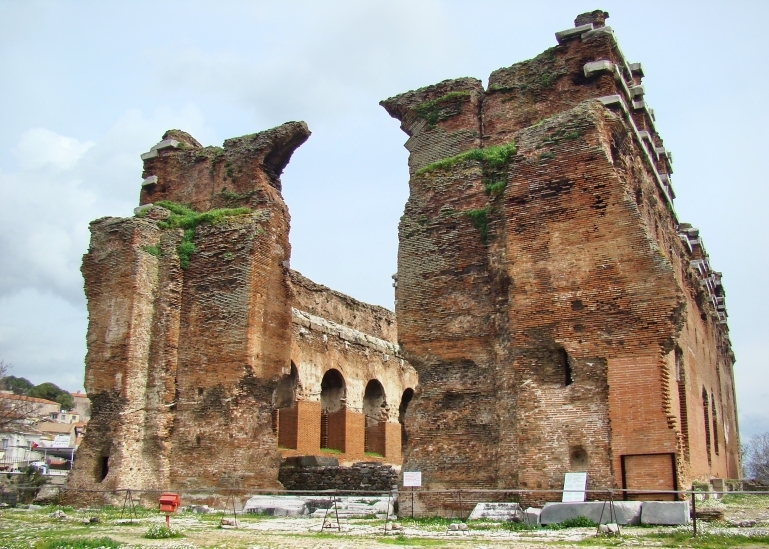 The complex in our photo below is the Red Hall, devoted to the worship of the Egyptian god Serapis. Red Hall, Pergamum. Photo by Leon Mauldin. It is known as the “Red Hall” because of its red brick walls. 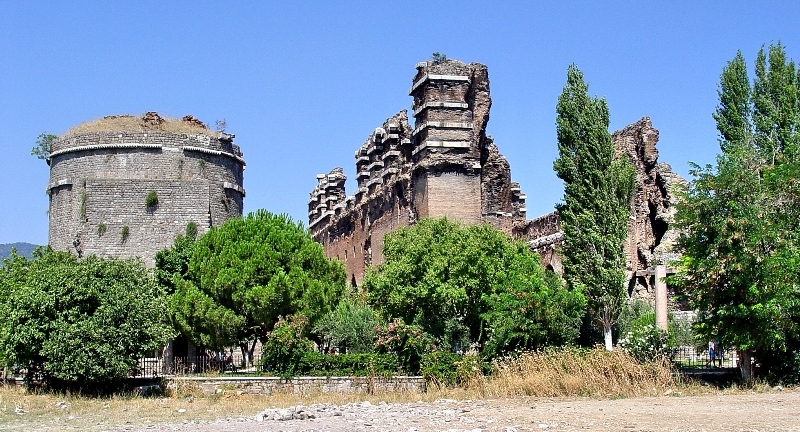 Here is a view of the temple of Serapis, looking east. Alexandria, Egypt has a nice museum, featuring a bust of Serapis. Egyptian god Serapis, Alexandria. Photo by Leon Mauldin. …this Egyptian-Greek sun deity was worshiped first at Memphis along with the bull-god, Apis. 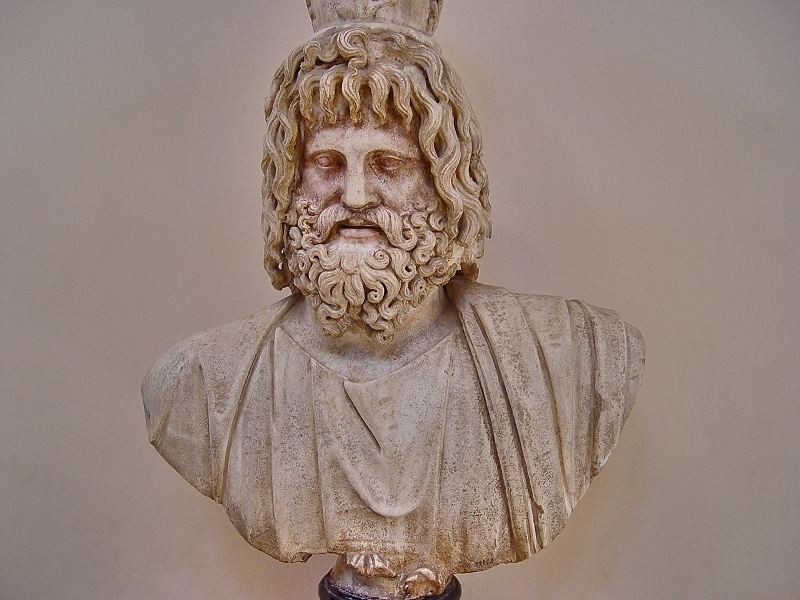 Serapis was introduced to Egypt by the Greeks and was worshiped originally as a god of the underworld. The temple to him at Alexandria was the largest and best known among several. Serapis came to be revered also as a god of healing and fertility, and his worship spread throughout the Roman Empire via the trade routes. This entry was posted on Tuesday, May 18th, 2010 at 11:26 AM and is filed under Archaeology, Bible History and Geography, Bible Study. You can follow any responses to this entry through the RSS 2.0 feed. You can leave a response, or trackback from your own site.